SCVHistory.com LW3093 | Placeritos (Melody) Ranch | Brian Donlevy in Owen Wister's 'The Virginian' (Paramount 1946). 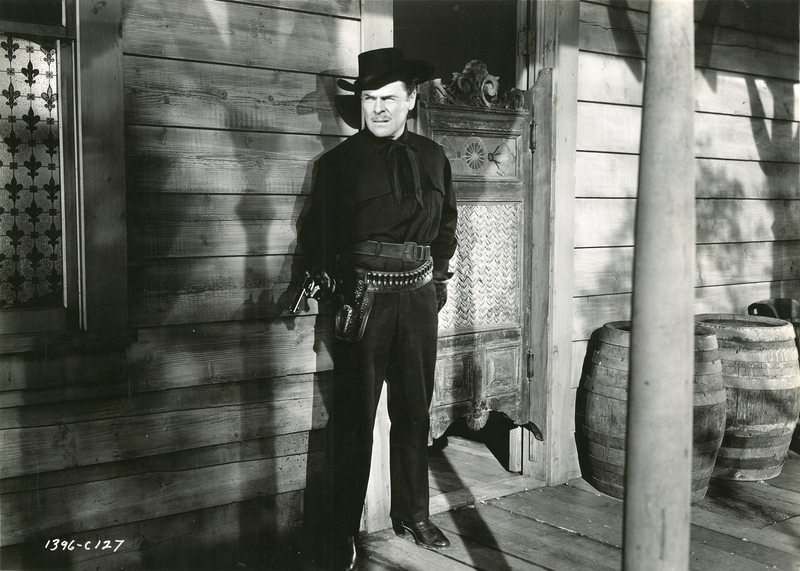 Brian Donlevy in "The Virginian"
Brian Donlevy strikes a serious pose in front of a building at Ernie Hickson's Placeritos (Monogram) Ranch in Paramount's 1946 screen adaptation of Owen Wister's "The Virginian" starring Joel McCrea. 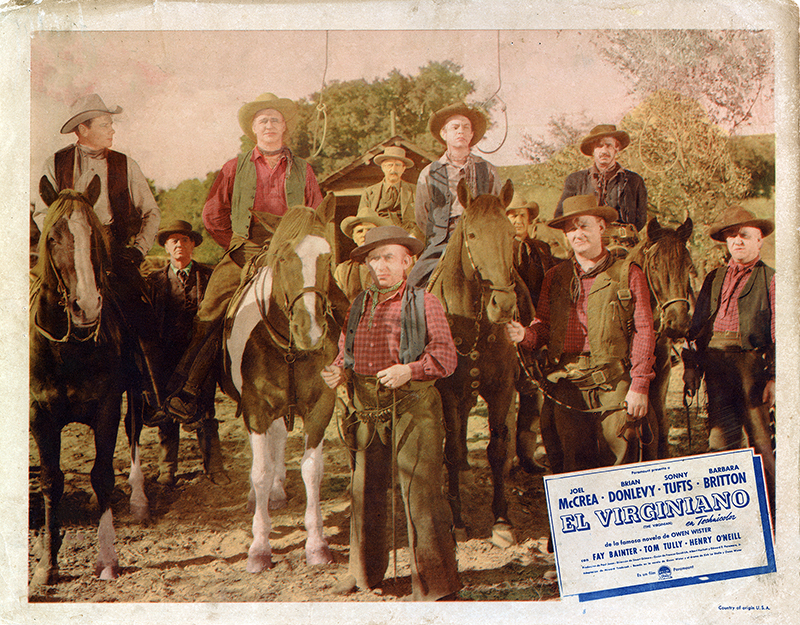 Locally, the production used the Placeritos/Monogram movie ranch, later named Melody Ranch, as well as the Andy Jauregui Ranch in Placerita Canyon. It also used the Paramount Ranch in Agoura, Wildwood Regional Park in Thousand Oaks, and a location in Kernville. The rest of the credited cast includes Barbara Britton, Sonny Tufts, Fay Bainter, Tom Tully, Henry O'Neill, Bill Edwards, William Frawley, Paul Guilfoyle, Marc Lawrence and Vince Barnett. LW3093: 9600 dpi jpeg from original photograph purchased 2017 by Leon Worden.